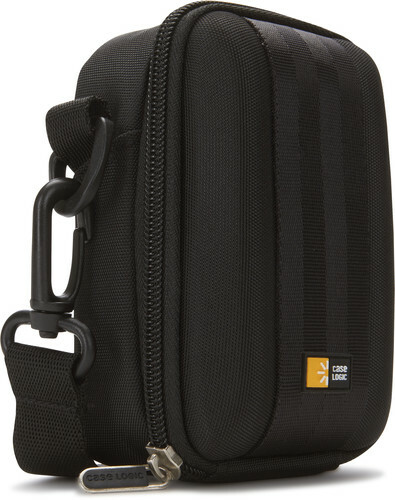 Protect your camera with the tough exterior and the cozy plush interior of the Compact Camera Case. Inspired by seat belt strap texture, the elegant linear accents form a distinctive tone-on-tone exterior that’s worth its own close-up. 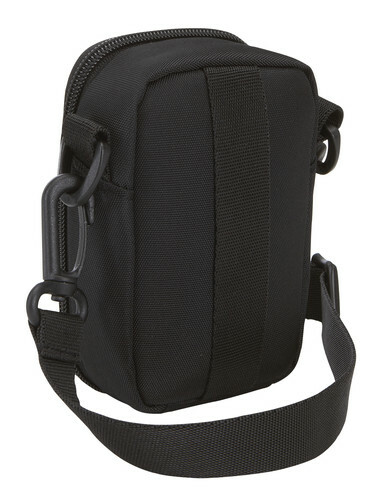 Very satisfied with my purchase of a camera bag for my Canon Powershot. 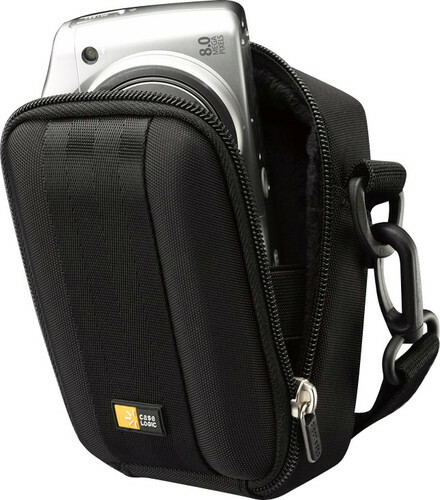 Perfect size and has the padding/cushioning that I was looking for to protect my camera, also has little pockets to hold batteries, sd card and charger. Definitely recommend CaseLogic! Really enjoy using my case. It was exactly as described andthe service was prompt. 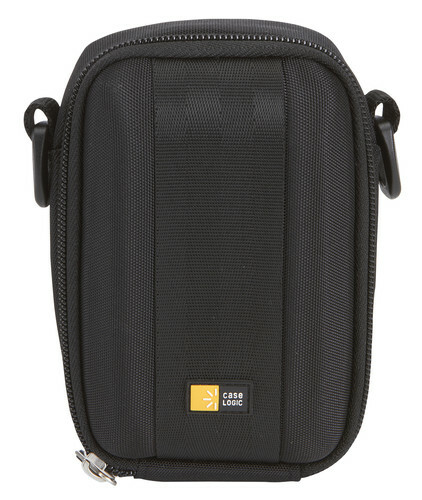 I would order any case I needed with no hesitation from Case Logic. So far, I like it just fine. If it were just a tad bit larger I could get the small battery recharger(it folds up with no elect. cord) and a usb cable or the shoulder strap in it but I have no complaints. I have both an extra memory card and a spare battery in it now. 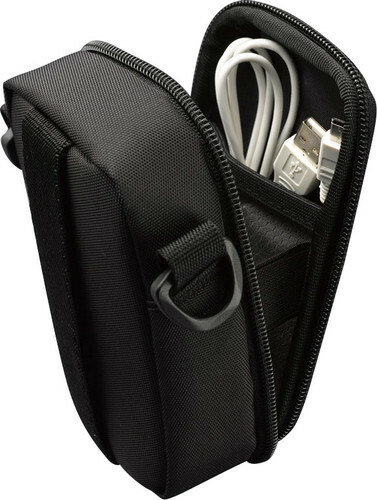 Good hardsided case for protection of my point and shoot camera. My camera is my investment in quality equipmenttherefore I want to protect my equipment. Just another great Case Logic product. This case is well made and has room for my iPod Touch and small digital camera. 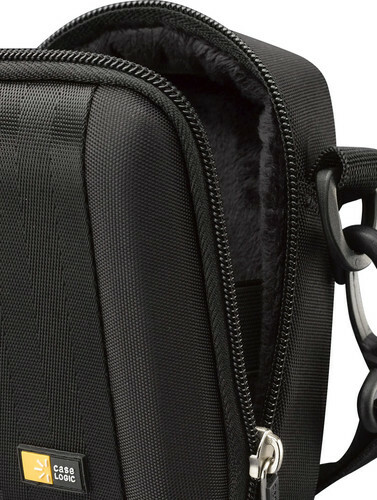 It works great for protecting the devices while on the go! I bought this case for my Panasonic Lumix DMC-ZS8. Fits like a glove, and the inside pocket has enough room for the battery charger. Everything can be kept together. Great case. value for money; good quality material. Nice. The zipper fell off but I was able to fix it. This case fit my Sony HX9V camera perfectly. I can put an extra battery and cleaning cloth in the inside pouch. It is exactly as described in your add!